Home at last. 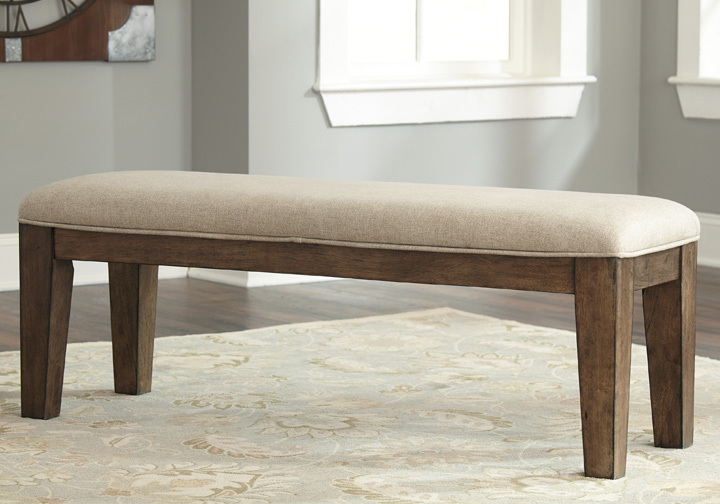 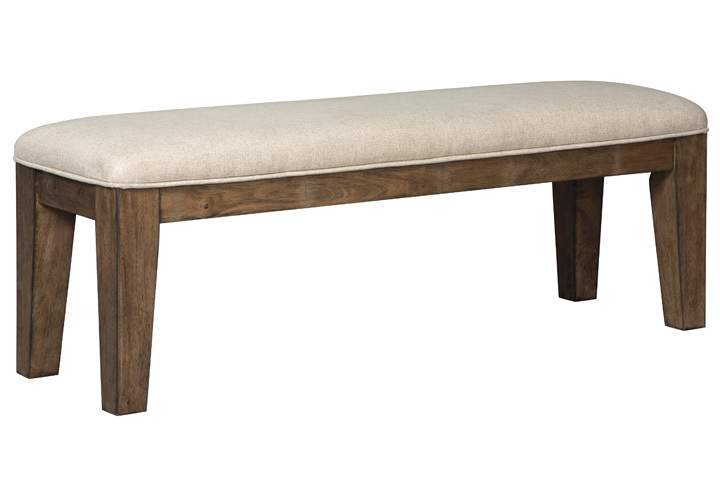 That’s the feeling you get with the warm and inviting Flynnter upholstered dining room bench. Its sumptuous seat is upholstered in a fresh neutral hue that’s a delightful complement to the straightforward wood frame, beautified with an earthy, burnished finish.